It's Just the Coffee Talking: If you drink Starbucks coffee at home, are you remembering to get your FREE COFFEE with the empty bag? If you drink Starbucks coffee at home, are you remembering to get your FREE COFFEE with the empty bag? This has been around for a couple years now but perhaps you've never noticed the offer on bags of Starbucks coffee. What is this FREE COFFEE offer? 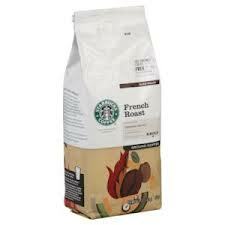 A free tall brewed coffee when you purchase a bag of Starbucks coffee where you buy groceries. When you’re done using your bag of Starbucks coffee at your home or office, bring it into your local Starbucks store and hand it to a barista to redeem your complimentary tall brewed coffee. All the details are right on the back of the bag. Go check for yourself! And I'm happy to report I've redeemed bags all over the USA without a problem; even in my local Target stores that have Starbucks inside them. 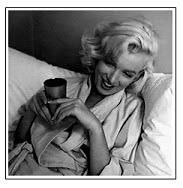 I just keep a folded up, empty bag in the bottom of my purse for those moments when I find myself without an extra couple bucks, but craving a nice, hot, cup of coffee.